Are 2 simple rules powerful enough to guide a year of work and interaction? Simple rules. I have become enamoured with simple rules to guide and govern behavior and actions. It is a bit ironic as I always stated that rules were not engaging but somehow simple rules feels more inviting and not commandment-like at all. A New Year’s Guide. This post outlines 2 simple rules I am using to guide my work and wellbeing from September 1, 2015 to August 31, 2016. Even at 60 years of age, September 1st. always feels like the first day of the New Year. In my mind and experience, September marks the beginning of the school year in Canada. Moving on from a 3 word theme. For the past 7 years I have used a 3-word theme to govern the year ahead. I loved the focus and simplicity of it. I was reluctant to give it up but I was looking for a more active approach to the year ahead wedded with specificity. The three word theme was a nice beacon or personal north star while 2-simple rules is a detailed daily road map through work and wellbeing. I am craving a more behavioral action guide for 2015/16. I was planning to write 3 simple rules but in drafting the rules, and my love of small and simple, I decided I only required two rules. Start and record fifteen 15-minute periods of engaged work or wellbeing sustained with resilient grit. Draw out the best in others or myself 5 times through connection and expression of appreciation, curiosity, or recognition. Rule 1 is focused on using short engaged time zones to maximize productivity and well-being. The key moment for me with this simple rule is to just start. I start each period of work or wellbeing by pushing the button on my watch timer already preset for 15 minutes. A second challenge is to sustain engagement for the full 15 minutes. To do this I added resilient grit into the rule. I want to bounce back after inevitable setbacks and I want the grit and gumption to stick with this rule for the year. I know that a big factor in success for me is to keep recording the periods. I don’t need to conduct detailed assessment and analysis but I know that I often become derailed when I stop recording. Rule 2 is inspired by the new book I wrote with Peter W. Hart on People Artists: Drawing Out the Best in Others at Work. This book will be released in October of 2015. The image on the one page guide at the start of this post is taken from the cover of the book and was painted by Peter Hart. I did not want to just write the book and offer the book to others, I plan to make it a personal daily practice. This rule will bring the concepts and practices of the book to life while also offering a trigger for 5 daily acts of people artistry. Most of those acts will take the form of appreciation, curiosity, or recognition. Background. Some of the background for this change in approach from a 3-word theme to 2-simple rules came from the literature on Kaizen and a recent book by Donald Sull and Kathleeen M. Eisenhardt on, Simple Rules: How to Thrive in a Complex World. Rule your own world of work, wellbeing and engagement. The primary purpose of this post is to encourage you to develop a few simple rules to improve your work and wellbeing. My rules are not your rules. You are welcome to use mine as a starting point or a launching pad to design your own rules. Later this year and in 2016 I will be writing more about behavioral employee engagement and simple rules. You will learn guidance on how to formulate and apply the concepts of simple rules. I encourage you to read Sull and Eisenhardt’s book to develop a deeper understanding of how simple rules have been used in a variety of setting and how you can use simple rules. Your next action. I encourage you, for now, to think about what rules would help you engage more fully with your work and wellbeing. As you think this through I encourage you to take a few notes and to write down some early drafts of the rules. David Zinger is an employee engagement speaker and expert who is pairing the behaviors from the pyramid of employee engagement with simple rules to make a difference to engagement in 2016. Benefits of a 3 word theme. A three word theme is succinct, easy to remember and leverage as a tool for work. It offers a quick guide and evaluation for work completed. It is a nice reflection tool for work and progress. It is also a great planning tool to get a tighter focus on the year ahead while offering flexibility in how those 3 themes are actualized. 3-Word Theme for 2013/2014. My new 3-word working theme is: engage, engage, engage. I know, this is the same word used three times. In my mind, the repetition adds emphasis. Also, this is the last year I will construct a three word theme. After this year I will reduce and simplify to a one word theme. 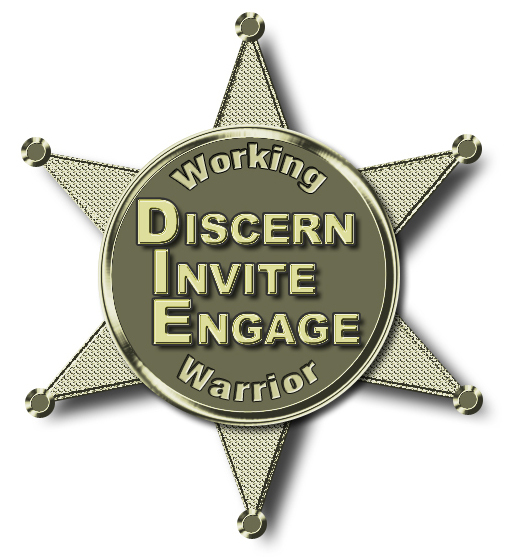 Engage, engage, engage will govern my work from September 1, 2014 to August 31, 2015. Why I chose engage, engage, engage. I have spent the proverbial 10,000 hours towards expertise on engagement over the past 10 years. It has been my primary focus and frequently my exclusive focus over this time. I am much fonder of the word engage, a quick verb to initiate action, than the longer noun of engagement that seems more passive and removed. During the year ahead I plan to engage myself fully in my work, I want to help others engage fully in their work, and I want to expand the depth and breadth of engage in our workplaces and our wellbeing. Using just one word three times is easier to remember and provides a more succinct focus for my efforts. So engage along with me, the best is yet to be. I will engage fully in thousands of fifteen minute periods of work. I will continue to write about engagement at this site, further refining the term and practices. There will be many more projects, tasks, and endeavors that embrace the theme of engage. Create an image for your theme to keep it in focus for the year ahead. 3-Word Theme for 2013/2014. 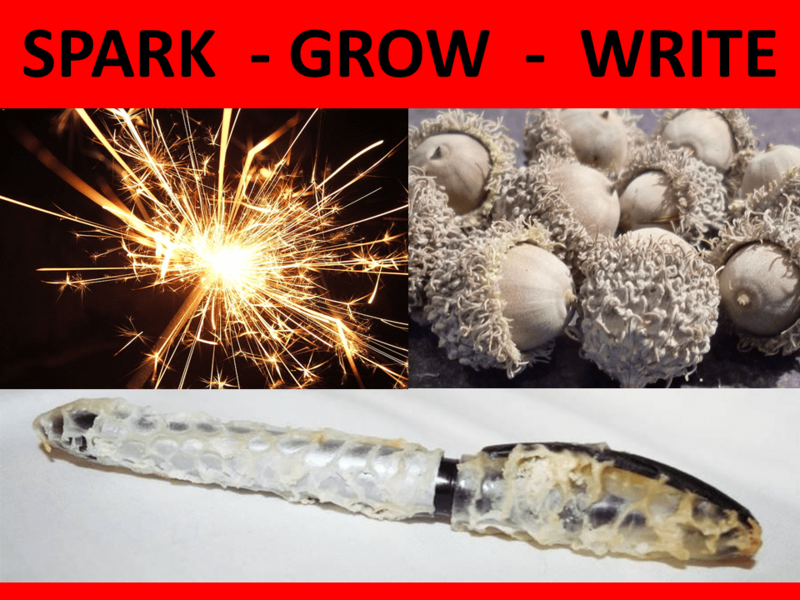 My new 3-word working theme is: spark, grow, write. These 3 words will govern my work from September 1, 2013 to August 31, 2014. Spark. I like the the compact and cogent image of a spark. I love what we can do in moments to spark ourselves and others at work. A spark, to me, can range from a word of encouragement or a few moments of conversation to a short e-book or one hour keynote. I will focus very strongly on creating many sparks over this year. Grow. I want to grow both myself and others. One change in my career this year is to grow others through individual coaching. My growth theme is moving in two directions at once: singularity and community. I will grow others through individual coaching and development and I have committed a strong focus to grow the global work on employee engagement and to grow the 6000 member Employee Engagement Network. Write. Writing has been both growing and sparking me. I have spent well over 10,000 hours writing and it is getting a little easier. I enjoy the medium. I enjoy the impact it can have on others. I believe writing is one of my gifts to my employee engagement community. Look for multiple publications coming from me this year and most of them will be small e-books intended to grow and spark others (always nice to braid the three themes into the various ways I work). Write Your Own Three Word Theme. I encourage you to compose and act on your own 3-word theme for work. Here are 9 steps to create and apply your own unique 3 word theme.